In addition to re-releasing Windows 10 1809 this week, Microsoft is also rolling out a new preview build of 19H1 for Insiders in the Fast ring. 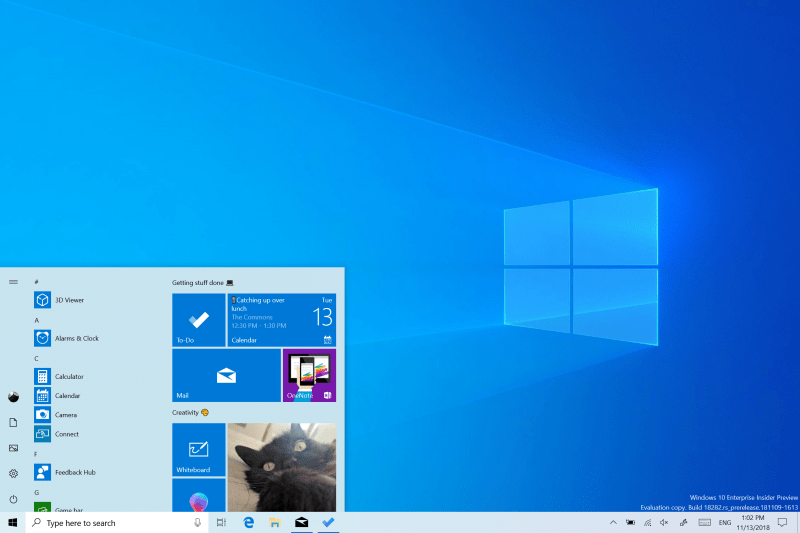 Microsoft today released Windows 10 19H1 preview build 18282 for Insiders in the Fast ring. Today’s release comes a couple weeks following preview build 18272 and contains some new features and other changes. Here is a look at what you can expect. One of the main attractions in this build is a new Light Theme. Of course, Windows 10 currently has a Dark Theme and the company is looking to distinguish the difference between the two. In addition, the company is adding a new default wallpaper as well. The modern printing experience is also being improved. 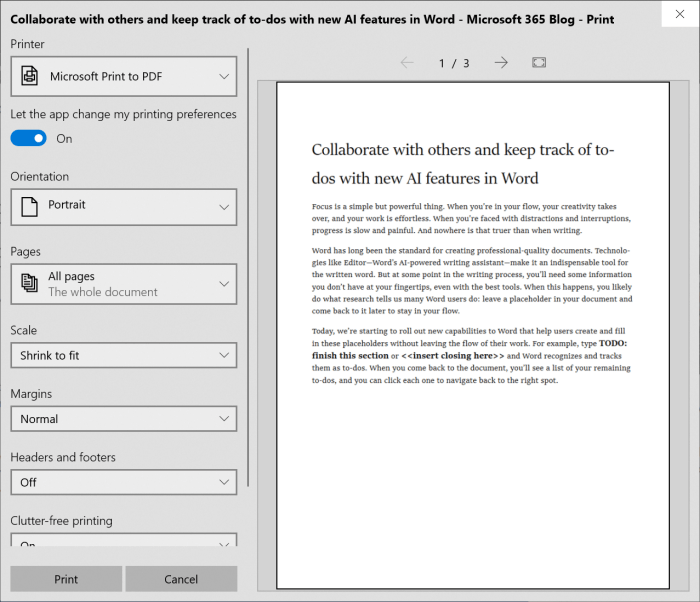 The print dialog supports the new light theme. And there are a number of updated icons with your printing options interface. This build also includes new improvements to the Snip & Sketch tool, the ability to pause Windows Update easier (shown below), more intelligent Active Hours settings, a change to Display brightness when switching to battery power, more Narrator improvements, and more. The ability to pause Windows Update will be easier to find. 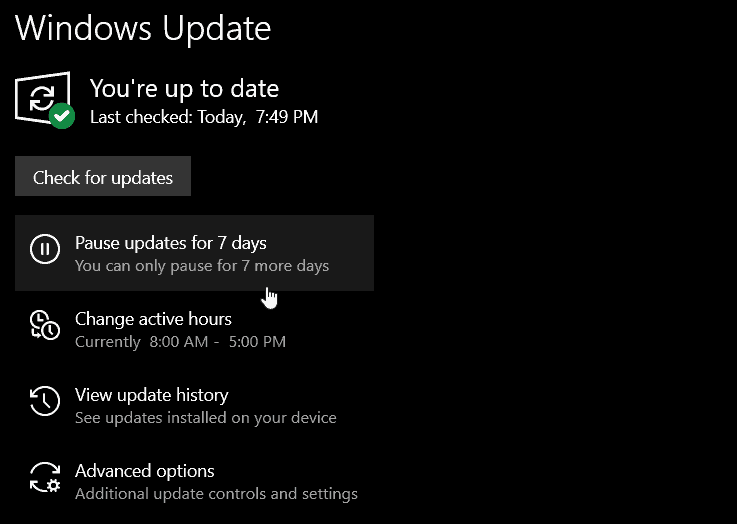 But it still looks like Windows 10 Home users can only pause for 7 days. Remember that preview builds, especially ones this early, have bugs and known issues for developers and users. Make sure to read the full blog post to get all of the changes, known issues, and workarounds.